To endow the knowledge, skills, and expertise in formulation development, manufacture and regulatory aspects for the benefit of human healthcare. Educate and train students to become leading academicians, entrepreneurs and pharmaceutical scientists keep abreast to the latest scientific advances with special emphasis and pharmaceutical manufacturing, formulation and drug delivery. Seek collaborations and strategic alliances with various universities and regional or local pharmaceutical industries. 2 S.S.ManiKiran B.V.Patel Gold Medal (2010) for national Level Essay competition 62nd Indian Pharmaceutical Congress (IPC) -2010, Manipal, Karnataka. CIPS – Department of Pharmaceutics equipped with state of the art facilities and upgraded regularly. The following were some of the major and recently procured equipment’s. Exclusive Pilot scale Industrial Pharmacy laboratory. FilmFormer Apparatus, VJ Instruments, India. Fluidized Bed Processor – VJ instruments, India. 16 Punch Rotary Tablet Machine. Heavy Duty Tablet Coating Machine. Probe Ultra Sonicator- OSCAR ULTRASONICS, India. 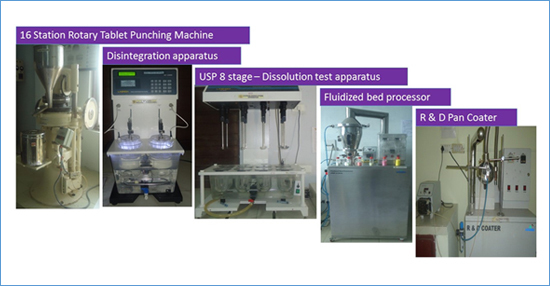 USP 8 Stage Dissolution Test Apparatus – LAB INDIA, Mumbai, India. Freeze – Dryer - ILSHIN, Korea. Studies on micromeritics and flow properties of powders (or) granules (Bulk density, true density, tapped density. % porosity, Hausner’s ratio). Phase solubility studies of different drug substances. Determination of partition and distribution coefficient of drug substances. Determination of viscosity of pharmaceutical preparations by using Brookfield viscometer. Determination of drug- excipient compatibility studies by thermal and non-thermal methods. (FTIR, DSC). 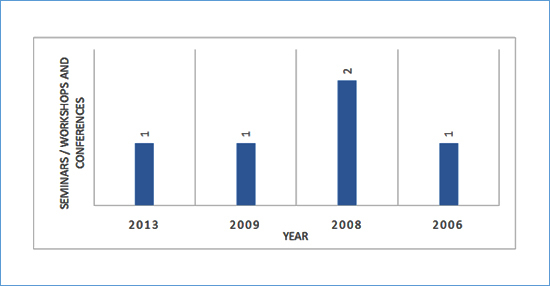 Determination of stability of pharmaceutical drug substance/drug products as per ICH guidelines. Formulation development and evaluation of different types of tablets., Conventional tablets, Dispersible tablets, Fast disintegrating tablets and Chewable tablets. Matrix tablets and Extended release tablets, Floating tablets. 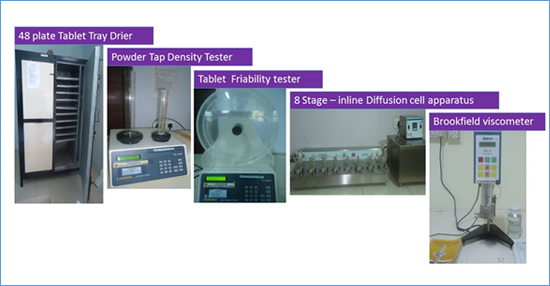 Quality control test for tablets and capsule as per official monograph. 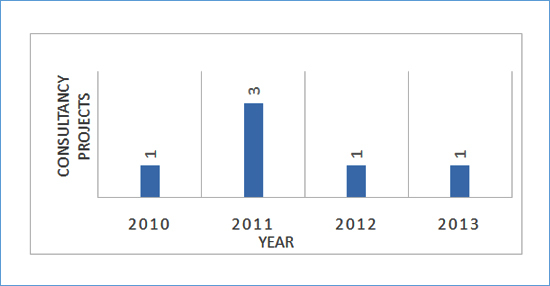 Comparison of innovator Vs generic product’s dissolution rate test profile (similarity and dissimilarity factors). Application of different types of coatings to tablets pellets /non-pareil seeds (film and enteric coating) using R &D coater / fluidized bed processor.